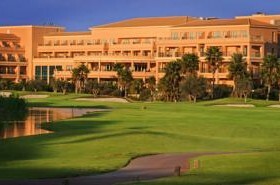 Hotel Husa Alicante Golf is set in beautiful gardens, with an 18-hole golf course designed by Seve Ballesteros. It features a spa, outdoor pool, and rooms with a terrace and free Wi-Fi. 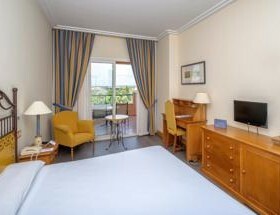 The spacious, air-conditioned rooms at Husa Alicante feature bright décor. Each one has a TV, minibar and safe. The Husa Alicante has padel courts and a children’s play area. Guests have free access to the spa, which features a fitness centre, indoor pool, sauna and massage service. The hotel is 800 metres from Playa de San Juan Beach and close to a large shopping area. 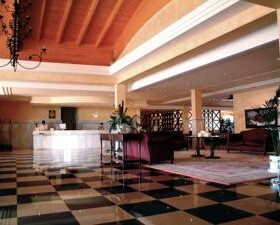 Alicante city centre is 7 km away and Alicante Airport is a 20-minute drive from the hotel. There is an elegant bar where guests can relax with a drink. The Augusta Restaurant serves Mediterranean cuisine with views of the golf course. Free Wi-Fi is available throughout the hotel.